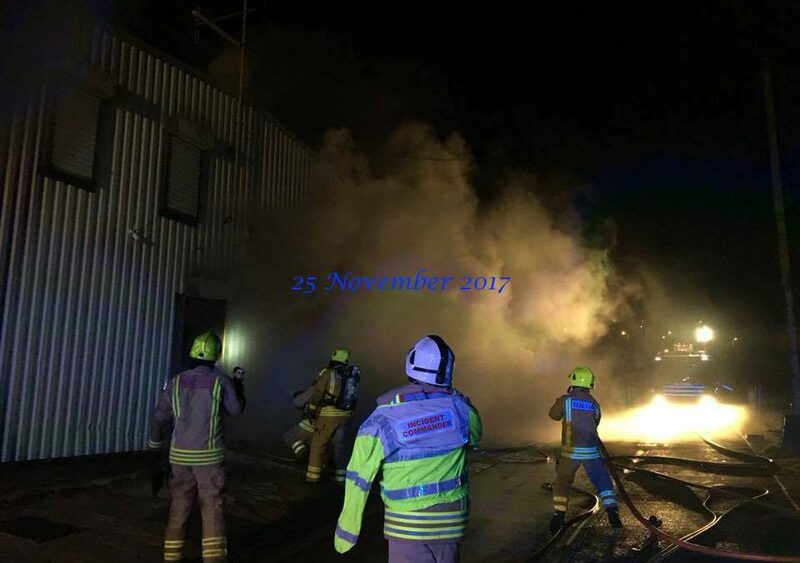 A year ago today, a major fire devastated our base, destroying all our vehicles, equipment and causing major damage to the building itself. But it didn’t destroy us as a team. Within days we were responding to a call for help and, since the fire, we’ve undertaken 138 incidents – one of the highest figures in the team’s history. So we’d like to take this opportunity to thank all those who have supported us, financially, materially and emotionally – with donations, fundraising, equipment and vehicles (given or on loan), the work of our insurance brokers and, of course, the wonderful South Wales Fire and Rescue Service, Merthyr Tydfil station who not only gave us a temporary home but made us so welcome. The support from the community and other mountain rescue teams around England and Wales has been humbling and, with your help and our insurance, we have raised over £380,000. This has allowed us to replace most of our equipment. One new response vehicle is already in action, a new control vehicle will be with us in the New Year and South Wales Freemasons have agreed to support us with our other response vehicle. All in all, a dream come true in just twelve months. The missing piece is our rescue base. We’ve made the difficult decision not to go back to the building that’s been our home for so many years. Instead, we plan to launch a New Base Campaign to build a home that will support us in far into the future – so watch this space!